The Honda BR-V and the Honda Accord have been hogging all the attention at the 2016 Auto Expo. 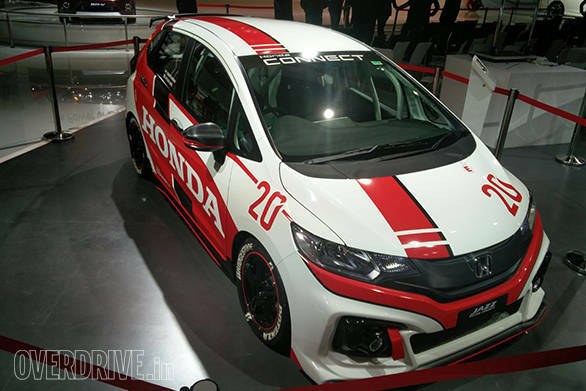 But then, there was the Honda Jazz racing concept which was a special display by the brand. The racing livery, side skirts and all that high performance visual upgrades were one thing but the moment the motor was fired up, it was a different being. The Honda Jazz racing concept was surely not powered by the regular motor but instead had a tweaked higher displacement motor under the hood. We believe its the 1.5-litre iVtec. 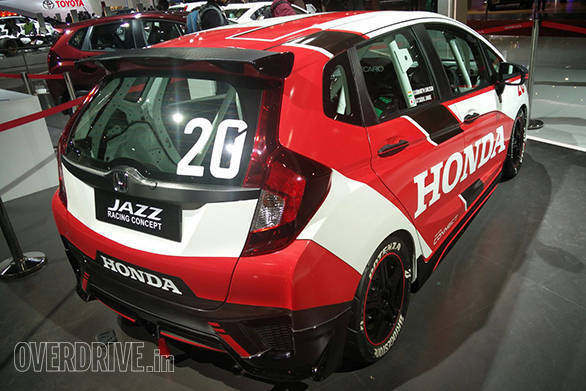 Most importantly, the Honda Jazz racing prototype is a product from the brand's Indian research centre.